You can find the map for today’s 6.49 mile walk here. 33 days until the Congestion Zone Ends Party! Follow on Twitter for more updates. 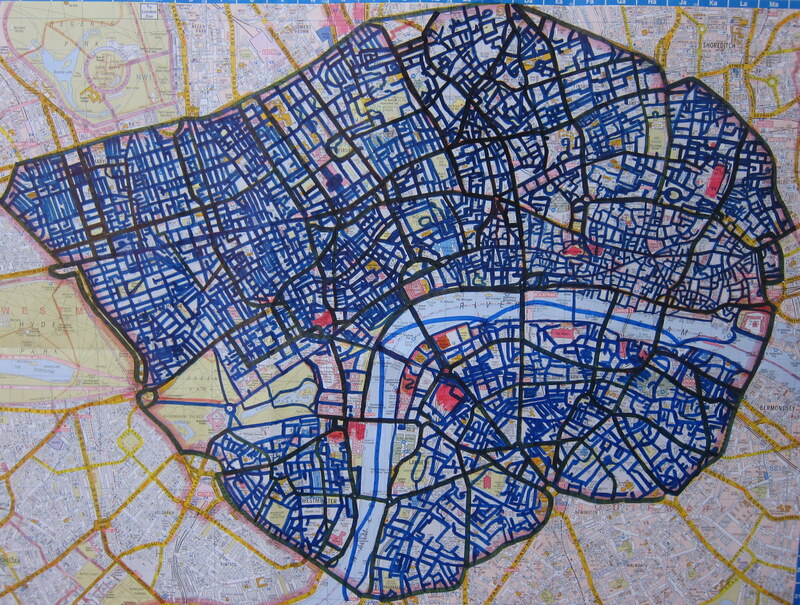 On Day 46 I was surprised at how un-snooty and un-standoffish the people of Mayfair were. It was a great walk. Today, the stereotypes I was wrong about the day before were, annoyingly, in full swing. 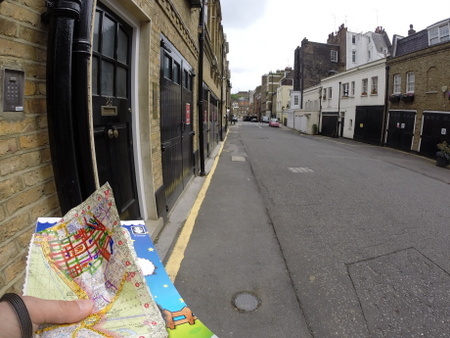 This part of Mayfair (check the map here) was not lovely and wonderful and blissfully full of inspiration and friendliness. It was ugly in parts, unwelcoming on the whole and pretty disappointing after I had such a great day out just around the corner. Most of the streets were lined with the back side of houses: cold, ugly garages, all with signs explicitly stating that you are not welcome there. Replace “park” with “be” and it’s a more accurate representation of the feel when you’re there. 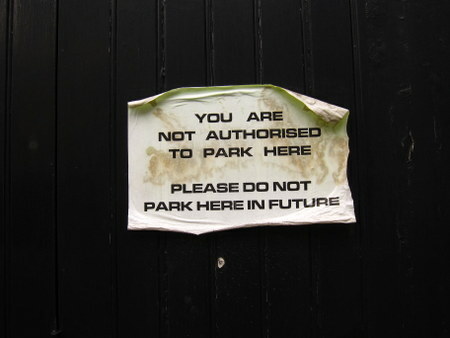 Also, am I not allowed to park here at all or just in future? Now isn’t the future so surely this means everyone is allowed one park in front of this gate before all future parks are verboten. When I happened to stop on one of these angry, get-away-from-here streets to mark my map, I instantly heard the crackle of an intercom and a voice ask, “Can I help you? ?” in that way only the English can use to sound friendly while actually telling you to shove off. Boring street. Intercom on the left. Evidence of my inappropriate behaviour. I hadn’t pushed any buttons, peeked in any gates (surprisingly), or acted in any suspicious way. I was walking, I slowed, I stopped, I pulled out a piece of paper and put a pen to it. Oh the scandal!! And that attitude epitomises the whole day out really. It was mainly residential, mainly not that pretty (not what I expected in Mayfair) and, all in all, not that fun or friendly.